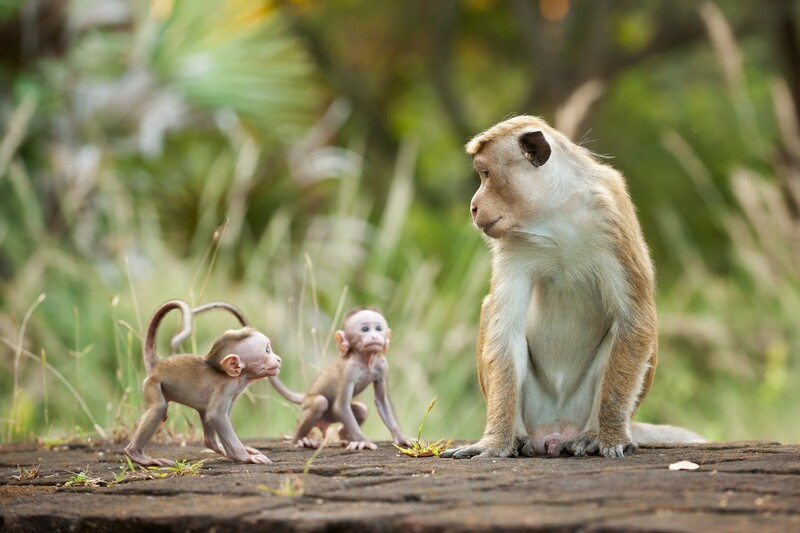 Disneynature’s “Monkey Kingdom” is a delight from start to finish thanks to the endless visual splendor of its exotic setting and the fascinating antics of its simian stars. 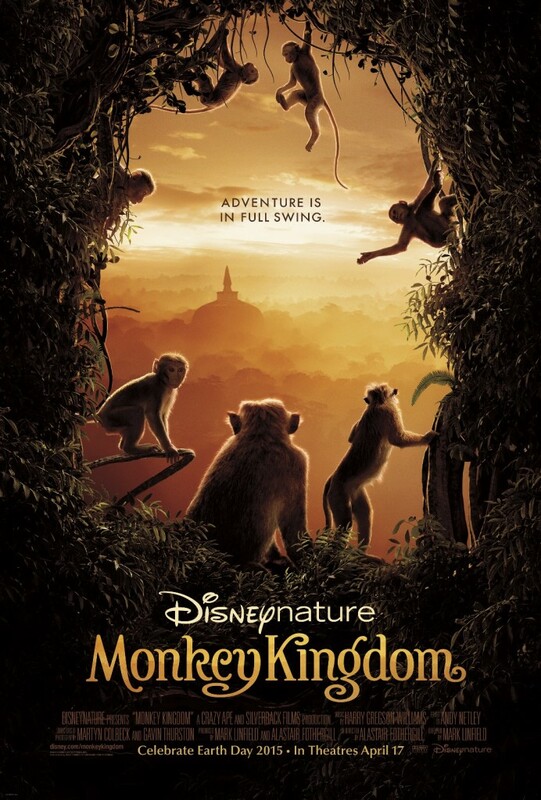 Disneynature’s Monkey Kingdom is a delight from start to finish thanks to the endless visual splendor of its exotic setting and the fascinating antics of its simian stars. Even if it’s not your habit to make time for nature documentaries when you go to the movies, this one is worth your attention. It will make the kids laugh and put more than a few smiles on your face, too, and maybe, just maybe, you might learn a thing or two about a part of the world you’ve likely never seen before and aren’t likely to see quite this way ever again. Narrated by Tina Fey, the documentary follows a tumultuous chapter in the life of Maya, a toque macaque monkey living with the rest of her lively troop in and around ancient ruins buried in the jungles of Sri Lanka, specifically in a huge rock formation dubbed “Castle Rock.” At the start, Maya lives at the very bottom of her troop’s surprisingly sophisticated social order, with the troop’s alpha male, Raja, all alone at the very top. Raja leads his group with the help of a trio of red-faced female macaques the film makers dubbed “the sisterhood”, with the rest of the monkeys in their extended family deferring to them in terms of who eats first, who gets to eat the freshest fruits from the trees they inhabit, who grooms who (yes, monkeys groom each other a LOT), and where everyone sleeps in the huge fig tree that wraps its trunk and branches around and through Castle Rock. Maya’s life begins to change with the arrival of Kumar, a young male from a different troop, out seeking a place amidst a new family, as male toque macaques do once they reach a certain age. Kumar is soon recognized as a challenge by Raja and chased away, but not before attracting the attention of Maya, and it’s not long before Maya is raising Kip, the product of Maya and Kumar’s brief time together. Maya must now contend with raising Kip and keeping him safe from predators in the wild and threats to the troop as a whole, as soon Raja’s entire clan finds itself threatened by a rival group of monkeys, forced out of their home turf and left to find food and shelter in the most unexpected of places, including the most dangerous and unpredictable areas in all the land: the areas populated by … the humans! Filmed over the course of 1,000 days in Sri Lanka with HD cameras and the help of numerous wildlife and primate experts, Monkey Kingdom is simply one breathtaking shot after the next highlighting an amazing part of the world few Westerners are likely to ever see, and showcasing the intelligence and resourcefulness of monkeys in a way few film makers have attempted to do. The cameras follow the toque macaques up into three-story-tall trees, through rocky crevices and ravines, and even across power lines and up cellphone towers in the cities, through night and day, shadow and light, above and below water. It’s a lively, family-friendly adventure that directors Mark Linfield and Alastair Forthergill (Disneynature’s Earth and Chimpanzee) present to audiences, not without its dangers and moments of tension and sadness, much like the story of any human family. But it’s a Disney production, so for every slightly scary encounter with one of the jungle’s many natural predators or even a threat from within Maya’s own group, there are numerous moments during which cuteness abounds. It never gets “too” cute, though, perhaps because there’s no sense at all that what audiences are seeing is staged in any way — carefully selected and edited from years of footage collected, yes, but not staged. The closest the film comes to anything set up specifically for laughs is when Maya and her troop venture into human villages and cities, and even then it’s more a sense that the humans were told what to do, not the monkeys. (Those scenes are, incidentally, among the funniest and most memorable in the film.) When combined with a lively and fun orchestral score by Harry Gregson-Williams (The Chronicles of Narnia films, Kingdom of Heaven) and perhaps the most inventive use of the ’60s R&B classic “What a Man” you’ve ever seen in film, played while Kumar is out to make an impression on the ladies of Castle Rock, and what you get is 100% fun to watch for kids and parents alike. In short, the beauty of the ruins and the wildlife that’s completely claimed it over the course of time, in addition to showcasing the monkeys’ natural curiosity, expressiveness, and playfulness, all combine into an experience that’s charming and memorable. This isn’t just any nature documentary or something you can catch on any given day on “Animal Planet” — this experience is unique, and the dedication on the part of Disneynature and the film makers to creating something unique is evident in every frame, but perhaps none more so than when the cameras catch a natural event that’s rarely been filmed, an annual emmergence of flying termites called alates that draws creatures of all types living in the jungle out to try and catch their lunch as it flies about. This sequence alone makes the film worth seeing on the big screen, at least for the adults and nature lovers in the theater. For the kids, no doubt, it will be watching the monkeys hanging off each other’s tails, leaping and sometimes falling off rocks and tree branches, wrestling and wrangling with one another, and in general just being mischievous. They’re monkeys, after all — “monkey business” is what they’re good at. Narrated by Tina Fey. Directed by Mark Linfield and Alastair Fothergill.